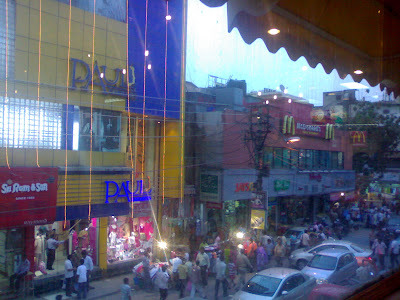 This is one of the busiest markets of Delhi, Karol Bagh. I got this amazing top angle view from a restaurant called Raffles, which by the way has one of the best menus for ice-cream sodas in all of Delhi. Meanwhile, Karol Bagh is a great bargaining haven. In fact you can manage to bargain even at comparatively bigger shops rather than just with the roadside shops. will definitely miss the glimpses of delhi. Do resume next week and have a great time!